Suffering from head lice infection is both embarrassing and traumatizing. 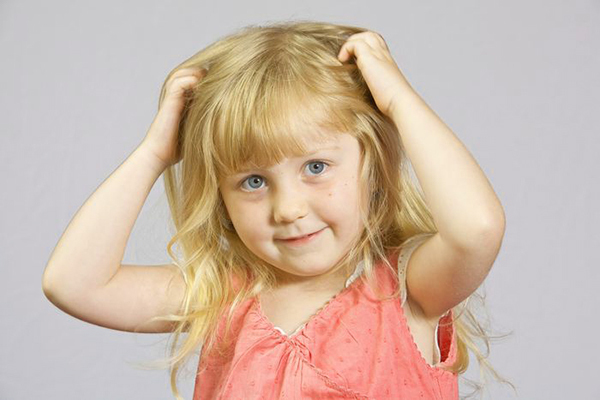 Children are more likely to catch head lice from their peers as compared to adults. Head lice are associated with negligible personal hygiene, which may not always be true. Instead of using harsh chemical treatments to get rid of head lice, there are several methods that can be used at home to effectively kill them without harming the scalp or damaging hair. You can smother the lice and kill them while you sleep. Cover your scalp and hair with mayonnaise such that it is completely saturated and then put on a shower cap. Go to sleep in this way and the next morning, the lice will have died of suffocation. However, this method does not kill lice eggs. These will still have to be removed by hand. Petroleum jelly can stifle roaming lice on your head. Cover your scalp and hair with a thick layer of petroleum jelly and wear a shower cap. In the morning, remove the petroleum jelly using mineral oil or baby oil. This causes the lice to be removed as well. This method should be repeated for several nights in a row. A disadvantage of this method is that petroleum jelly is difficult to remove from the hair and may require extensive shampooing. Make a mixture of essential oils by adding together 20 drops of tea-tree oil, 10 drops of rosemary oil, 15 drops of lemon oil, 15 drops of lavender oil, and 4 tablespoons of vegetable oil. This mixture should be rubbed into dry hair. Keep your head covered with a plastic shower cap and wrapped in a towel for an hour. Then, remove the wrappings and shampoo your hair well. The essential oils kill head lice and soothe itchy scalp. Bend over a bathtub and pour rubbing alcohol on your hair over the middle of the forehead, away from the hairline. Cover all of your hair with rubbing alcohol. You may experience a stinging sensation. Run your fingers through your hair and ensure that the rubbing alcohol has covered your scalp. Next, rub some conditioner into your scalp. Using a long-toothed comb, brush out all the lice. This method will require approximately an hour. Now, shampoo your hair thoroughly and don’t forget to condition it. Grind 8-10 cloves of garlic to create a paste. Add 2-3 teaspoons of lime juice to the paste. Cover your scalp and hair with the paste and ensure that all areas have been thoroughly saturated. Leave the paste on for an hour and then wash your hair with hot water. Alternatively, you can make a mixture of fresh garlic juice, lemon extract, green tea, and cooking oil. Apply the mixture on hair and scalp and leave it on for half an hour. Wash it off using your regular shampoo. This method should be repeated every week for 1-2 months. Sarah Carter is a blogger and Team Member at Dermatend - skin tags removal. She likes to write about health, Skin Care, Beauty and Makeup tips. You can follow her on twitter.